On Wednesday, March 7, the overwhelming roar of Grizzly cheers finally had its comeback. The Lassen High varsity boys’ basketball team wowed the crowd with a 55-51 win in first round of the California Interscholastic Federation State Division V Playoffs. The Grizzlies, seeded six of 16 teams in the Northern Region, hosted the Summerville Bears to the playoff game. The Bears stepped on the Grizzly court after traveling from Tuolumne, California with a 17-12 overall record and a seeding of 11 for the state playoffs. The home match started out rough for the Grizzlies as the first quarter ended with Summerville on top 12-10. Lassen took plenty of shots in the first quarter, but only a small fraction made their way into the net. In fact, the Bears had a five-point lead entering the final minute of the quarter, and Grizzly fans were starting to visibly fret. However, in the final three seconds of the quarter, the Grizzlies finally managed to wake up. 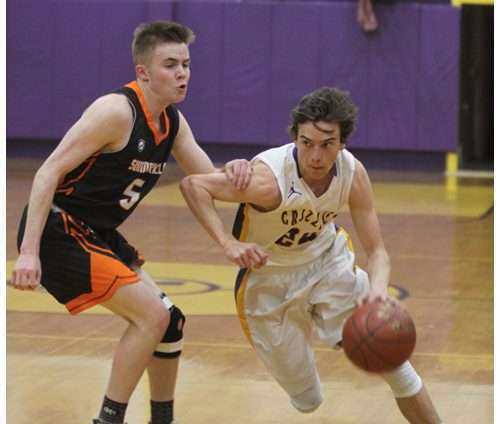 A three-pointer from Brand Satica was the best way to get the ball rolling, and Lassen was determined to keep themselves in action for the remainder of the game. Despite the slow start, Lassen recovered quickly in the second quarter. Satica started off with a layup at 7:09, and Cole Dyer found himself on the free throw line 15 seconds later for another Grizzly point. Summerville responded with a basket to take back the lead 14-13, but they didn’t hold on to it for long. Satica hit two good free throws at 5:58 and Will Ashmore followed with a layup to bring the score to 17-13, Lassen. The Bears then hit a free throw to bring themselves within three points of the Grizzlies, but both Ashmore and Satica hit three-pointers to push the Bears further away from the win. With four minutes on the clock, Summerville bumped up their score with a rebound and a two-point field goal, but it still wasn’t enough to take the lead. 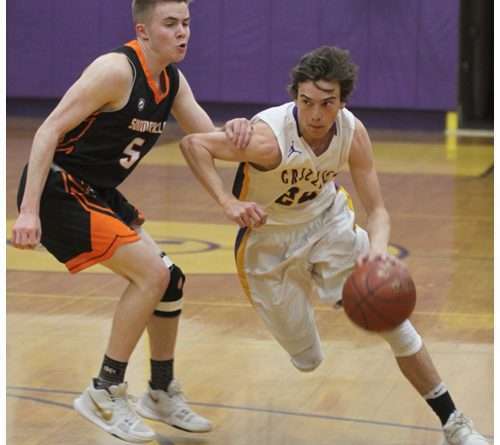 Ashmore responded with a couple good free throws, and after another two points were added to the Bear score, Bennett hit a two-point field goal to bring Lassen to 27 points thus far. Both teams continued to exchange punches until the first half was called to an end: The Bears hit a rebound, and Ashmore responded by putting in a layup. Summerville then hit another rebound to bring their score to 25 points, but with three seconds on the clock, Spencer Lively sunk a final Grizzly basket for the half. The second half started with a score of 31-25 in Grizzly favor on the board. Neil Growdon set the Bears straight with athree-pointer at 4:48, and to truly nail in the lesson, Satica hit a three-pointer to follow and Ashmore put in a layup. Tension was increasing on the court, as both teams knew they could leave with the win if they put in enough oomph. With 1:21 on the clock, a jump ball was called in Grizzly favor. 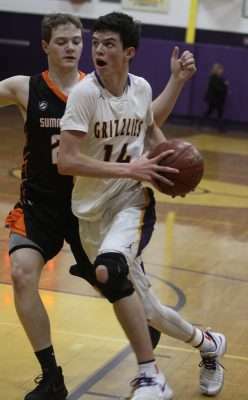 Ashmore took the lead with ball in hand, and while the Grizzlies scrambled to outthink the Summerville defense, Growdon found himself perfectly placed beneath the basket. With a call to Ashmore, Growdon gained possession of the ball and put it in the basket with ease to bring the score to 42-33, Lassen. Two rebounds scored by the Bears kept the fans guessing, but Satica put the budding worries of purple and gold fans at ease with 1:21 on the clock. Satica managed to fool the Bears with a fake pass that left his path to the basket clear. With the opportunity, Satica practically pranced to the key and hit a layup to bring the Grizzlies to 44 points. The Bears were far from surrender just yet, though. In the final minute of quarter three, Summerville hit two baskets and followed the latter with a good free throw. 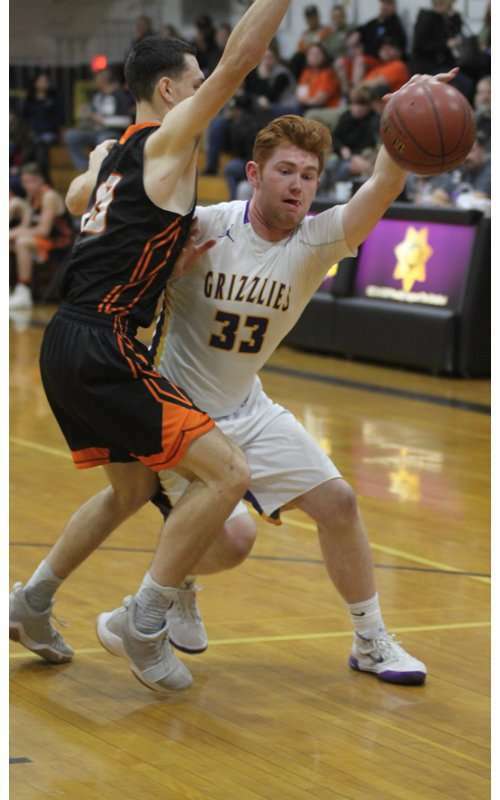 The 44-42 Lassen-led score prompted the Grizzlies to start the fourth quarter off with speed. Less than 30 seconds into the final quarter, Dyer hit a two-point field goal. However, the Bears managed to tie things up 46-46 with a pair of baskets by the time the clock hit six minutes. Ashmore reclaimed the Lassen lead with a basket at 5:43, and Satica put in two baskets to reaffirm the lead by the time the clock hit 3:25. Summerville attempted to keep their focus with a free throw at 1:57, but a pass over the basket from Jacob Bennett to Satica resulted in another Grizzly basket to only further frustrate the Bears. In the final 30 seconds of the game, Summerville put in four points worth of baskets, but to keep things on the safe side, Spencer Lively put in a free throw. 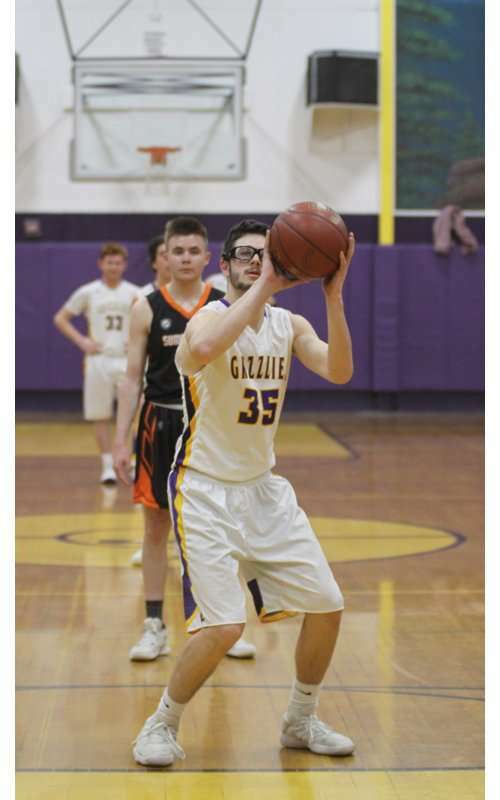 The final score of 55-51, Lassen, marked the first state playoff win for the varsity Grizzly boys in 20 years. The next game for Lassen was round two of the state playoffs against Colfax Saturday, March 10.